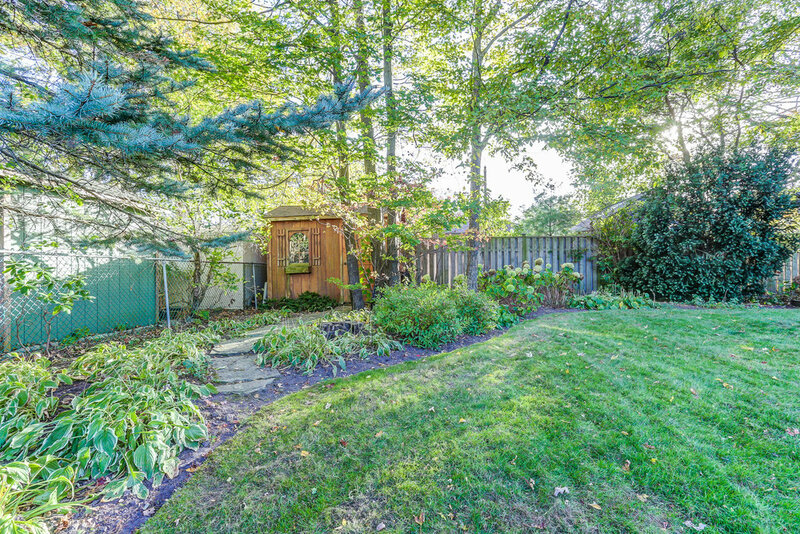 Beautiful Riverside bungalow on a private treed lot just a short walk to town and the Go Station. 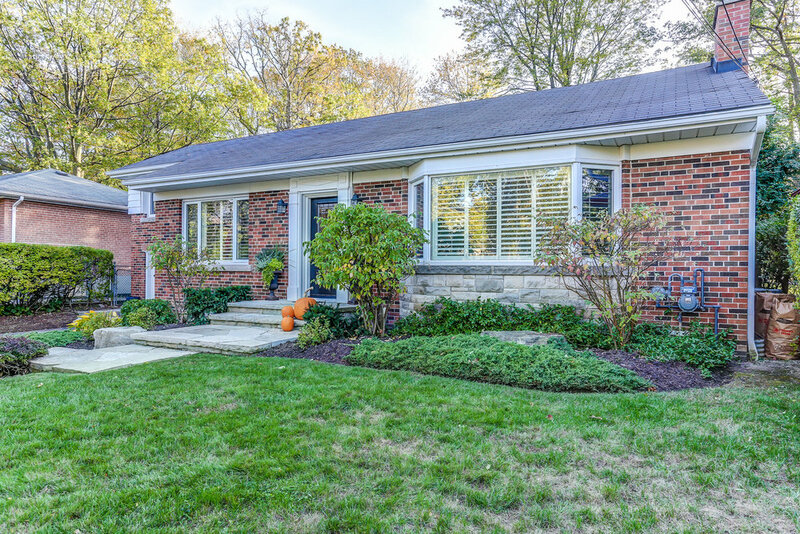 Over the years, this charming home has been fully updated. Large bright living room with custom built in cabinetry around the gas fireplace and a bay window looking out to the street. The kitchen and the dining room were opened up to show off the beautiful white kitchen (2011) with granite countertops and stainless steel appliances. French doors open from the dining room to the totally private, large west facing backyard. The house has three bedrooms with the Master boasting a 2pc bathroom and walk in closet. The main bathroom was updated in subway tiles and a tasteful colour scheme. 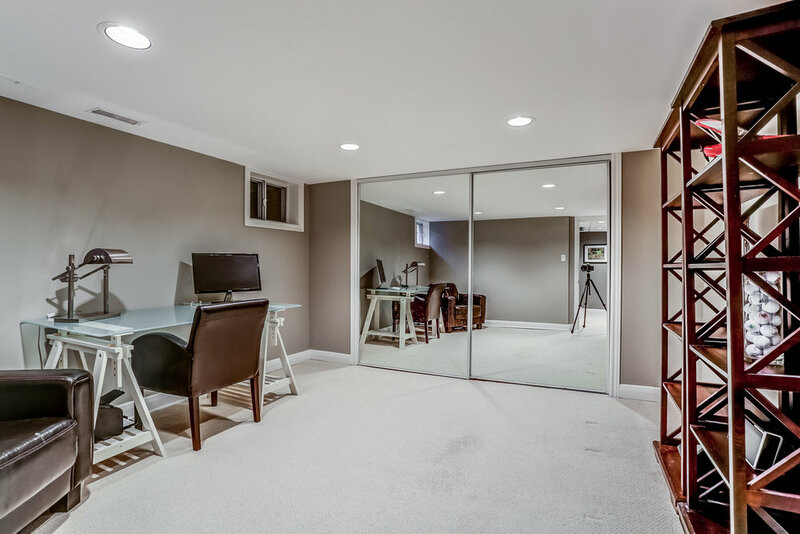 The fully finished basement has extra deep windows for lots of natural light. The basement adds additional living space; an extra bedroom, 3pc bathroom, laundry room, large recreation room and plenty of storage. This home oozes with curb appeal with its wide flagstone walkway and steps to the front entry and extensive landscaping throughout the property. A huge wood deck in the back makes a perfect spot to entertain and enjoy the seasons. Don’t miss your opportunity to live walking distance to town, Kerr Street, the Go and all of the other amenities this fabulous community has to offer. Walking distance to downtown and Kerr Village with shops and restaurants. Short walk to Oakville Harbour, Oakville Performing Arts Centre, Lake Ontario, walking trails, and parks.